Boxing Banjo join Sean O'Rourke live in studio now. Boxing Banjo is the most exciting new act on the Irish traditional music scene. Comprising four of the most accomplished Irish musicians, brothers Dara and Mick Healy along with Joseph McNulty and Seán O’Meara have amassed in excess of 20 All Ireland titles on various instruments and in singing along with 4 world bodhrán titles. Having all been immersed in music from a very early age, they became equally at home playing a range of musical genres such as classical, Irish traditional and rock music. Between them, they have toured extensively and performed in countries including Russia, Belgium, China, Chile and the United States. They have now joined forces and combined their considerable individual experience and talents to create a unique blend of traditional Irish music and song, old time and bluegrass music. 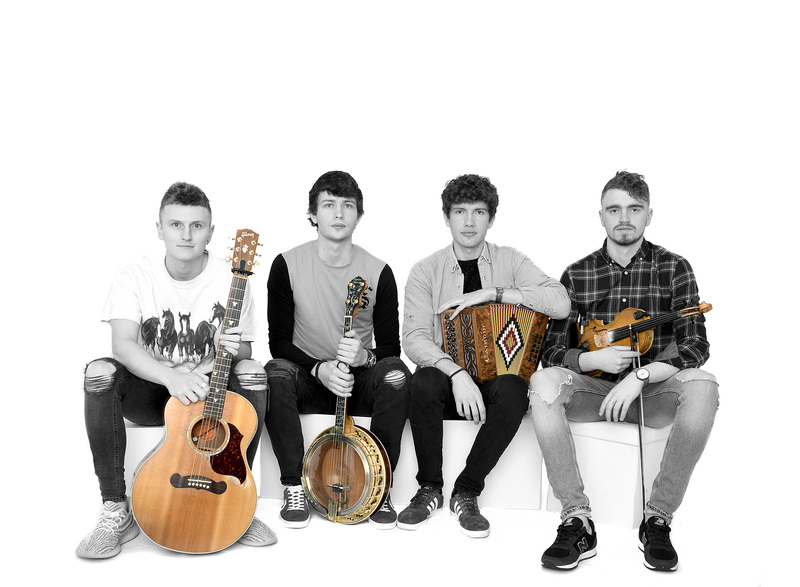 Combining a myriad of instruments including button accordion, banjo, guitar, mandolin and fiddle, their high-octane performances encapsulate their raw passion for their music, influenced heavily by the rugged coastline of their native west of Ireland. ‘Dynamic’ and ‘Electrifying’ are superlatives often used too liberally in relation to some music performances. Boxing Banjo more than justify these tags.